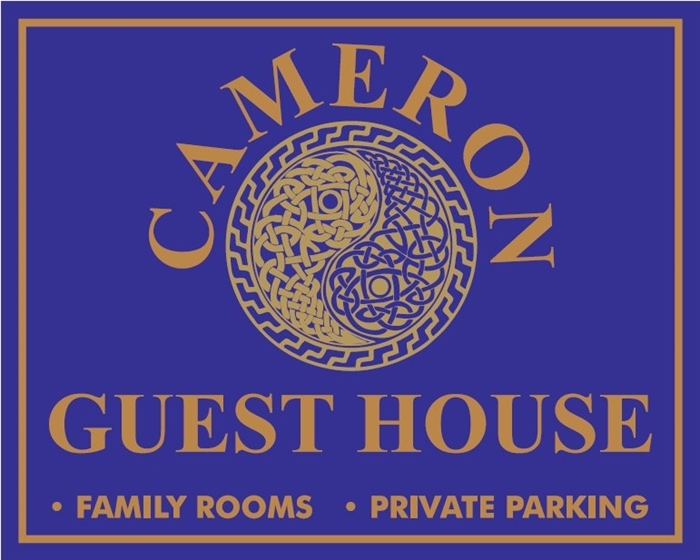 Cameron Guest House, Breadalbane Street, OBAN Small family run property in Oban's town centre. In the picturesque town of Oban, this Victorian guest house has bright, spacious rooms with free WiFi. Bars and restaurants are just 2 minutes’ walk away, and there is free on-site parking. Bike and cyclist friendly. Each room has free tea and coffee and a TV, with some rooms also including a DVD player. All our rooms have en suite shower facilities. The guest house has a lounge for guests to relax with a book or swap notes on local activities. Cameron Guest House does offer a self service continental breakfast at an additional cost.